If you haven’t heard my latest confession and obsession: I’m addicted to canning and making jam. I made strawberry freezer jam last year and thought I was the bee’s knees and was told it was just as good, and certainly a lot easier to make, than traditional jam by processing them in a hot water bath. Well, I tried canning some of the remaining peaches we brought back from our trip to BC and I instantly fell in love with the process and the very next day I made jam for the first time with the very last of the peaches. I already shared the strawberry rhurbarb jam recipe I used, so I’ll refer you there for the basics of canning. You will need peeled peaches and you can read here how to easily peel peaches. Prepare your canner, jars and lids. I like to puree my fruit in a small food processor, because even if you chop the peaches as fine as you can, it looks more like a marmalade, vs. the more smooth texture shown in my picture above. It still tastes great, just a matter of visual appeal. In a large saucepan, combine peaches, lemon juice and whisk in pectin until dissolved; bring to a boil over high heat and stir frequently. Add all of the sugar at once, stir continuously and bring to a full, rolling boil (meaning that when you are stirring it’s still boiling). Boil and stir for 1 minute and remove from heat and skim off foam and discard. Ladel hot jam into hot jars and leave ¼” headspace. Remove air bubbles, I use a chopstick and gently stir around the edge, and adjust headspace by adding more hot jam as needed. Wipe rim with clean cloth and centre the lid on the jar. Screw band to fingertip-tight and place jar in canner to keep warm. Once all jars are in canner, make sure they are covered completely with water and bring to a full boil and process for 10 minutes. Remove lid from canner, wait 5 minutes and then remove jars onto a towel, cool for 12 hours, wipe lid and outside of jars, print off adorable labels and store! 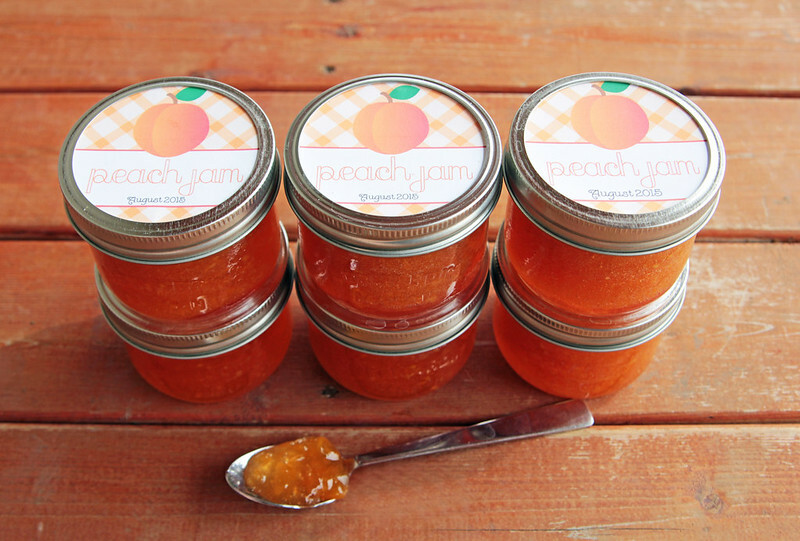 Savour the sweetness of fresh peaches from the summer year round with this delicious peach jam! In a large saucepan, combine peaches, lemon juice and whisk in pectin until dissolved; bring to a boil over high heat and stir frequently. Add all of the sugar at once, stir continuously and bring to a full, rolling boil (meaning that when you are stirring it's still boiling). Boil and stir for 1 minute and remove from heat and skim off foam and discard. Ladel hot jam into hot jars and leave ¼" headspace. Remove air bubbles, I use a chopstick and gently stir around the edge, and adjust headspace by adding more hot jam as needed. Wipe rim with clean cloth and centre the lid on the jar. Screw band to fingertip-tight and place jar in canner to keep warm. Once all jars are in canner, make sure they are covered completely with water and bring to a full boil and process for 10 minutes. Remove lid from canner, wait 5 minutes and then remove jars onto a towel, cool for 12 hours, wipe lid and outside of jars, print off adorable labels and store! One of my favourite things about canning is making my jars look pretty! Please click on the image for full size, right click and save and print on cardstock. I just cut out the circles, put a little piece of tape on the back and stick them to the lid, then screw on the band. For personal use only, do not sell and do not upload without permission. Just right click and “open image in new tab” and you’ll get the full-sized image to save. &amp;amp;amp;amp;amp;amp;amp;amp;amp;amp;amp;amp;amp;amp;amp;amp;lt;br /&amp;amp;amp;amp;amp;amp;amp;amp;amp;amp;amp;amp;amp;amp;amp;amp;gt; &amp;amp;amp;amp;amp;amp;amp;amp;amp;amp;amp;amp;amp;amp;amp;amp;lt;br /&amp;amp;amp;amp;amp;amp;amp;amp;amp;amp;amp;amp;amp;amp;amp;amp;gt; &amp;amp;amp;amp;amp;amp;amp;amp;amp;amp;amp;amp;amp;lt;br /&amp;amp;amp;amp;amp;amp;amp;amp;amp;amp;amp;amp;amp;gt; &amp;amp;amp;amp;amp;amp;amp;amp;amp;amp;amp;amp;amp;amp;amp;amp;lt;br /&amp;amp;amp;amp;amp;amp;amp;amp;amp;amp;amp;amp;amp;amp;amp;amp;gt; These are affiliate links and I hope you enjoy this jam as much as we do! Thanks for the peach labels. I’ve made peach jam for my Sunday school Class members and needed an easy label. My rings were covering up part of the writing and my husband suggested gluing the label to the top of the ring. I think I will also glue a green ribbon or felt around the ring. 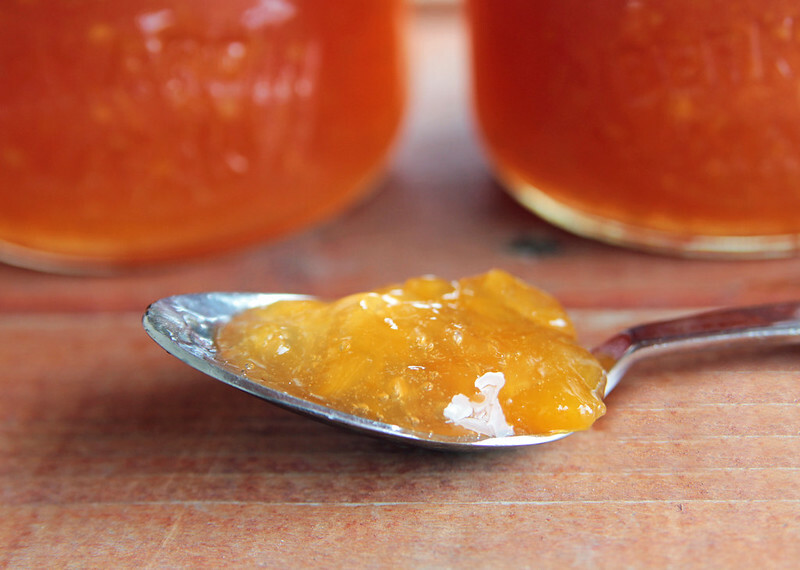 I make my jam the old fashioned way without using pectin. Usually I just make fig jam but couldn’t find figs this year. Living in SC we have plenty of peaches so I decided to try something new. We were pleased with the way they turned out….pretty color and good peach taste. My husband and I are totally into canning and preserving our annual garden goodies and other fresh treats! The local Farm Bureau that I work at sold Illinois peaches this year and I made some good stuff with them. Peach Pie Filling. Peach Butter. 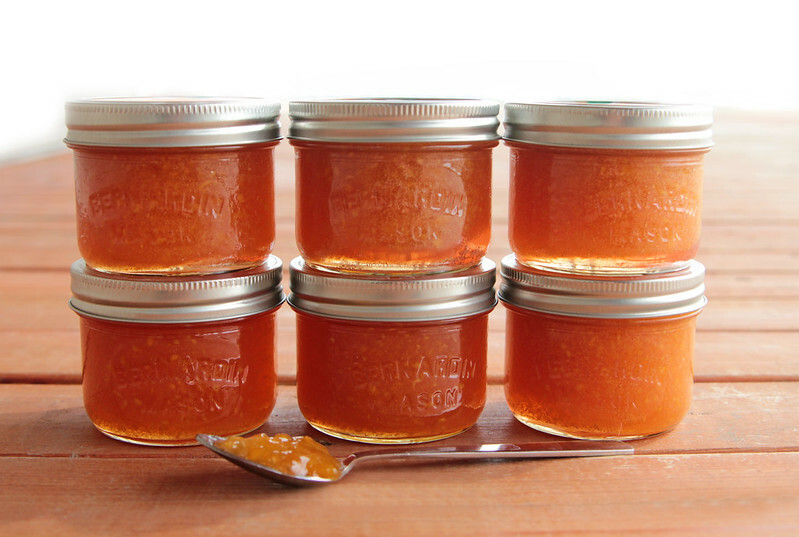 Jalapeno Peach Jam. 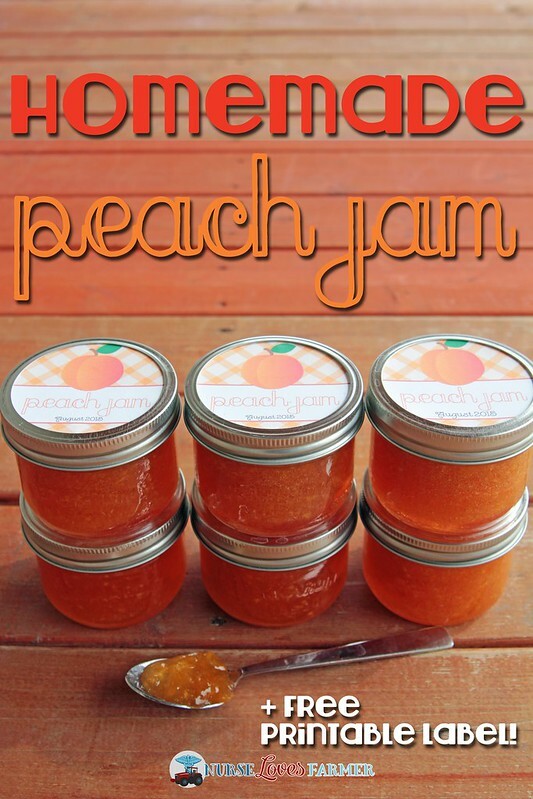 My favorite was utilizing the peels of the peaches, Cinnamon Spiced Peach Peel Jelly! It was great to utilize the whole peach. I love the Ball Jar guide to preserving, but have fallen head over heals with Food in Jars by Marisa McClellan. She blogs under the same name as well! Check it out. I have her book on my Christmas wish list!